Why would you want to take a weekend trip from Amsterdam? So many reasons! You could live in Amsterdam like we do. 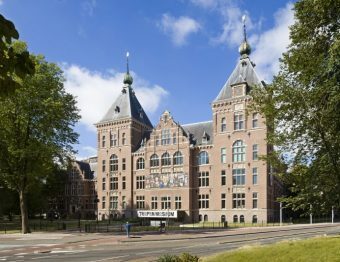 Perhaps you are a local or an expat that lives in the Netherlands and it’s easy to get to Amsterdam as a starting point. Maybe you are in the city for work for an extended period of time and you want to make the most of the experience. Or maybe you are making Amsterdam your base for a longer European adventure! Whatever your personal reason for wanting to use Amsterdam as your jumping off point, there are an amazing amount of quick weekend trips to be had. It’s super easy to get around Europe thanks to a well-connected central train station and an easy (and cheap to get to) international airport. How to get there: Quick flights (Check flight prices) are about 50 minutes or the international train, the Eurostar takes just over 4.5 hours. Though a new and faster line is coming. Exciting times! Somehow, I actually don’t write much about London even though I go often. Last year I went four times! It is such an interesting and large place with so much going on. I’ve taken a couple food tours: one in SoHo and one by the London Bridge so that I could get introduced to proper British food. Every time I go, I try to make a reservation for an afternoon tea. I like Scoff & Banter Tea Rooms because of the variety and fancy-pants factor, but we did try the Alice in Wonderland one too. Sadly, I enjoyed the show part of it over the actual eating part. At least it was fun! There are so many neighborhoods that I keep exploring and finding new ones. I’ll walk around and think “I could live here.” Then I go to another part of the city and think, “Nope, this is the perfect spot.”. Then, I laugh at myself because I’ll never be able to live in the center of London! Besides, I’m perfectly happy with the house we bought in Amsterdam. To be fair, I never thought that could happen either. Isn’t life a funny thing? Anyway, back to London. If you like history there are plenty of museums and even non-museum places to enjoy. But sometimes it’s nice to just look at the city. Look at Buckingham Palace. Look at the Parliament Building. Look at Tower Bridge. Other times it’s nice to dive into the culture on Carnaby Street, or in SoHo. Walking in the area of Little Venice is so nice and relaxing and climbing up Primrose Hill is perfect for an awesome view. With so many options, you might want to think about what kind of accommodation you want before you even start looking. But check out a full listing of hotels to see what fits you best. This is such an easy trip from Amsterdam when you fly from Schiphol airport to London City Airport because you are already in the city! Hint: Stay near a subway or train station and stay farther out to pay a little less but not be too inconvenienced. How to get there: Quick flight (Check flight prices) about 1 hour and 15 minutes or the Thalys train that takes 3 hours and 18 minutes. I try to do this every year so I’m definitely partial to this one. Even though I’m not in love with Paris like many people are, I still love visiting as a weekend getaway from Amsterdam. Yeah, I don’t understand myself either. Then again, I love to eat real French food every once in a while and my favorite tea brand is there! There’s just something about walking around Paris. The best thing is when you discover your spots…the places you like the most for whatever reason. One of my favorite things that I’ve done in Paris was to grab an eclair, go to the big grassy area called Esplanade des Invalides with Edna and hang out. So simple, yet so nice. It’s always nice to get a good view of the iconic landmarks in Paris. Though I haven’t put together a post on this, Edna did! She also has a lot of article on Paris in general, so definitely check those out. Stay an extra day and make a long weekend out of the trip! How to get there: Quick flight (Check flight prices) about 1 hour and 15 minutes. For a quick weekend trip, hopefully, you’d be able to just take a carry-on. In that case, there are always super cheap flights to get there. It’s also very quick and easy to get to the city by bus so you don’t waste time. If you like old town centers and bridges that give you the most incredible views, Basel will not disappoint. Even in the winter when most people don’t think to come to Europe it is such a beautiful place no matter when you are able to visit. Being able to walk around and see so many beautiful places and buildings makes it a great escape. The pace is calm and there is plenty of places to eat and drink once you are ready for a break. If you stay in a Basel hotel, you get the Basel pass which gives you free public transit and discounts around town. Now, that’s a nice bonus and adds a bit of value to your trip. How to get there: Quick flight (Check flight prices) about 3 hours which isn’t bad for a long weekend. There are so many flights from Amsterdam to Lisbon, but also, it’s a quick ride from the airport to the center of town. I don’t know about you, but everyone I know has been talking about Lisbon for the past year. It’s for a good reason! With the pretty great weather, amazing food, and the treat of Vinho Verde, it’s a great place to be. Take a food tour to discover the flavors of Portugal, make a reservation at a delicious restaurant that is known for their seafood, and grab a drink and sit waterside to enjoy the sunshine. It’s one of those places that you can easily find touristy things to do, or just sit back and relax. How to get there: Quick flight (Check flight prices) about an hour and 25 minutes. Oh, Berlin! Berlin is such a popular destination for so many reasons. It has a great vibe, clubbing, its own unique culture, and the food scene is definitely growing. Summer is the best time to go since festivals in parks being very popular. Food trucks, music, and green grass all come together to create a friendly and welcoming atmosphere. Hardly seems fair to think about if you are currently experiencing not-so-friendly weather. For a weekend away, there are a ton of possibilities of what to get into, but I’ll leave that part up to you. What’s awesome about Berlin is that the variety makes it so that there is something for all us travelers. Indoor museums, outdoor events, historical significance, and so on. It’s easy to go back for multiple trips and always have something new to discover. Discover the best place to stay that fits you best! Warsaw isn’t always the first place that comes to mind for a weekend trip, or even as a quick trip from Amsterdam. But with a direct flight, stunning old town, a castle and lots to see, why wouldn’t you go? Since a weekend isn’t super long and you want to have your money stretch farther, it’s a good thing it’s cheap to get from the airport to the old town center (less than €1) by bus and takes less than one house. If you’re more concerned about time than money, a taxi or Uber is always an option as well. Agness in Warsaw’s old town. Our friend Agness from eTramping.com has put together a full post here on A Wanderlust For Life on what to do in Warsaw over a weekend. Don’t forget about the food! Over on their blog, they have a drool-worthy post of their favorite Polish dishes. We all love Amsterdam, it’s just one of those places you have to experience. But when you want to see stunning Dutch architecture in a small city with lots of energy, but without all the tourists, Groningen is a perfect option. It’s a university town, so it’s incredibly lively without being overwhelming. See the full post we wrote up about planning a weekend in Groningen. You easily get that local feeling by simply strolling down the street. When you start getting peckish, pop into one of the many restaurants available. Because it’s a city with a younger population, the offerings range from traditional to eccentric. There’s something for everyone here. I found it to be a super relaxing place to be with plenty to do if you want, but nothing that gives you FOMO. It’s a nice balance. Find the right accommodation for you in Groningen. How to get there: Super-quick flight (Check flight prices) about an hour long. You may notice that this is the second time I’ve mentioned Germany, but Hamburg is quite different (and pretty far) from Berlin. It’s one of those places that truly surprised me with how cool it really is. You’ll find some great activities to do and areas to visit. My favorite is down by the water, but the old town with its stunning buildings is pretty spectacular as well. This probably isn’t a shock to anyone, but one of my favorite parts was the variety of food. We ate at so many amazing spots all over the city, from pulled pork bbq to fine dining, to a breakfast worthy of getting up early, this city has it all. 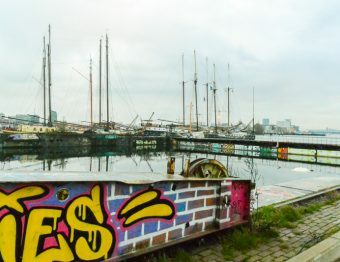 Read about all our favorite spots including things to do in our post all about a weekend in Hamburg. Don’t forget to find a place to lay your head down each night. While there are many great options all over Europe, I really think these are perfect for quick trips to be able to get a nice taste of that city. 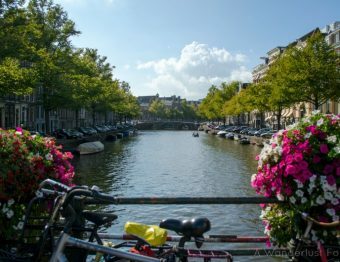 Visitors to Amsterdam can use the city as a hub and still get a really great European experience while exploring more cultures, food, and iconic sights. 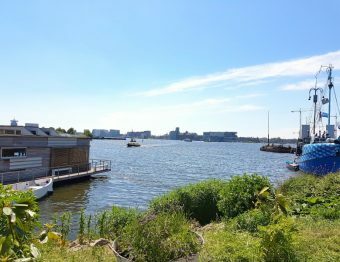 And those who are local have easy access to great travel opportunities just by living in or around a city like Amsterdam. What do you think? Would you take quick trips to these places or do you have other ideas? Berlin is definitely one I need to make time for again this year. These are some great suggestions — all lovely cities. Basel is a gem. Wish I lived so close to so many countries!! Canada is a bit remote in that sense. Can’t believe it’s so cheap to travel to Lisbon. We don’t have any direct flights, and it’s so expensive. Thanks for the tips! Having a great international airport as a hub is definitely a bonus, but it’s nice that it’s pretty cheap once you get there! How beautiful, it’s amazing to be able to jump across to another country for a weekend and Amsterdam is perfectly placed for it! I like your synopsis on Basel, I haven’t been but it looks worth a weekend! I feel like I would need to live in Amsterdam for a while now! Thanks for such great ideas 🙂 I’ve pinned so that I can reference later. I regularly commute between London and Amsterdam, and can’t wait for the quick train connection! I hope it will be bit cheaper than the current trains too, haha! 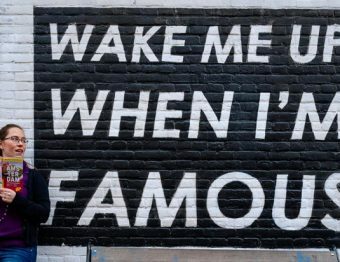 I feel ya there! Price is definitely a factor, but I hope it all works too! Basel sounds lovely! Your photo of it is gorgeous. It’s so much easier getting around Europe than the US. It’s awesome you can do a quick weekend vacation to all these incredible places! Thank you <3 The ability to take quick trips is one of the reasons we moved to Europe. Now I feel bad that we didn't explore the U.S. as much as we are in Europe. I Love weekend trip #2. Lisbon is fantastic, and Sintra is not to be missed. The perfect daytrip. Hey Jessica, all the cities you have mentioned are very nice place to visit. I would love to go Berlin.It is a nice city to visit. My sister lives in there and I usually visit there every so often. My plan is to visit Lisbon next weekend! Ruby recently posted…How to Maintenance Mountain Bike – Tips and Technique from Expert! Such an exceptional list of trips which are definitely worth doing Jessica! Paris and Lisbon are perfect recommendations. Thank you! So glad someone who travels as much as you agrees with this 🙂 Good reinforcement, I think!